Producer / engineer, Danny O'Hanlon, is an Irish-American artist that has been a part of the Portland Irish music scene for over 20 years. He is one of the two founding members of the wellknown Irish band Cul An Ti, and has performed alongside notable Irish musicians, Laurence Nugent, Dale Russ, Johnny Connolly and many others. 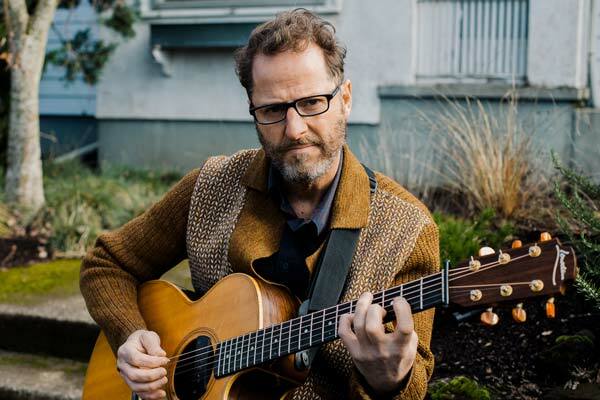 After a eight year stint in Los Angeles, O'Hanlon journeyed to Portland, Oregon in the early 90s where he tapped into his Irish heritage through his integration into the Irish music scene inthe Pacific Northwest. "When I first encountered Irish music later in my life, I just had this feeling like I had been there before without knowing it. I was somewhat disconnected from thatheritage growing up as an Irish-American, and it was through playing traditional Irish music in Portland and visiting Ireland that helped grow back some old nerve-endings that I didn't know I had." One of O'Hanlon's favorite Irish songs to sing is "The Plain's of Kildare," a song about aunderdog, talking, Irish racehorse, a song, he adds humorously, "I think kind of describesmy inner spirit animal ;)". He adds his own unique twist to traditional Irish music by performingsongs with a kick drum, high-hat, vocals and guitar simultaneously, and occasionally shuffles inan eclectic pop song or two. Often he performs with guests Eric Earley from Blitzzen Trapperor Edward Parenti on the fiddle. "I just play and they react to it, and what they do is perfect.They're both brilliant personalities and wonderful accompanist."